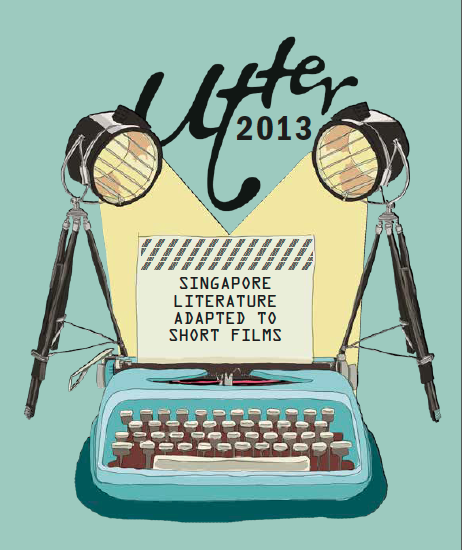 Utter is a Singapore Writers Festival initiative to showcase Singapore writing and its potential to be adapted into different media and across languages. This year's iteration, in collaboration with OBJECTIFS Centre for Photography and Filmmaking, saw four local works, selected by the directors from over 30 options, adapted into short films. They were screened at OBJECTIFS and The Arts House over the past two months. The result is four well-made films that hold their own as original creative works that shed light on aspects of contemporary Singapore life and society, rather than being literal audio-visual interpretations of the texts they draw from. Rather than coming across as mired in nostalgia for a Singapore of the past, the films depict individuals' struggles with sympathy and restraint, and with a surprising infusion of humour. That Afternoon We Went to See the Pandas may feel the most immediately relevant to Utter 2013 audiences with its portrayal of a young couple from China struggling to build a life in Singapore, our immigrant population having been a topic of hot debate lately. The film explores the idea of performance; in the film's opening sequence the female lead is seen eating kaya toast for breakfast, in a typical HDB flat's kitchen; it is not clear till later on that she is even a recent immigrant. Her job as a waitress at a Korean restaurant requires her to don an elaborate traditional costume and greet patrons in Korean. On her lunch break, seemingly in a half-hearted effort to assimilate to local tastes, she opts for chicken rice over dishes from her homeland. Meanwhile, her unemployed husband visits the pandas at the zoo, where his audition for the job of panda mascot is critiqued by the interviewer, who demonstrates the energetic song-and-dance routine he expects on the job. The laugh-out-loud moment injects some silly humour into a pensive film that is sensitive without being too sentimental. Perhaps the most literal adaptation of this year's output, Lillian Wang's Penghulu presents the opening chapter of its eponymous Malay novel. Pak Suleh, a former offshore village's penghulu (headman), reluctantly attempts to adjust to retired life in a high-rise HDB flat on the mainland. Rather than drawing comfort from the view of the sea from his flat, he seems frustrated that this former domain of his—in flashbacks he is shown bringing home fresh fish for dinner after a day out in his boat—is now so out of reach. Pak Suleh's discomfort is likely felt by a number of Singaporeans from the older generation and is worth conveying via film to younger audiences who have known no other Singapore lifestyle than the high-rise one. While the short film does not put an original spin on Suratman Markasan's story, it is successful, and likely rather accurate, in its depiction of a typical Singaporean family's dynamics, and therein lies its heart—Pak Suleh nags at his son to study harder and achieve better grades; his wife nags at him to take better care of his health by not sitting too long out in the breezy corridor. 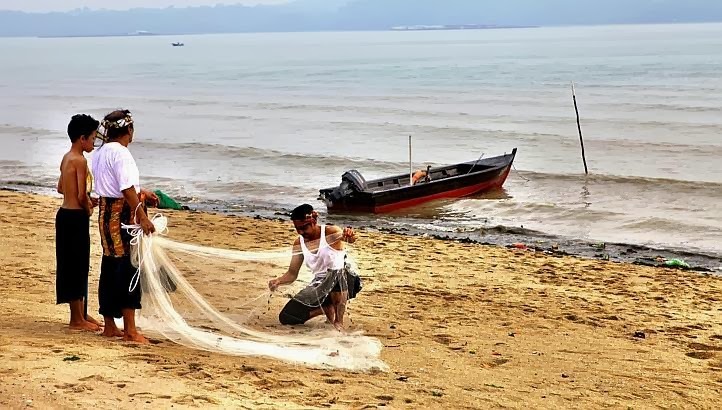 The film ends with Pak Suleh's son bringing home fresh fish for the family's dinner, a gesture that is heartwarming without being maudlin. Ultimately, Penghulu is a celebration of family ties as a constant, an anchor against the tides of change that constantly sweep Singapore. Much like the rich, complex soup the film is named after, Kat Goh's Bak Kut Teh is the most emotionally riveting yet darkly funny film in the Utter 2013 showcase. The bleak film depicts an abusive pork seller, Ah Tee, and his silently-suffering wife, Ah Huay, on a visit to her parents' home for dinner. 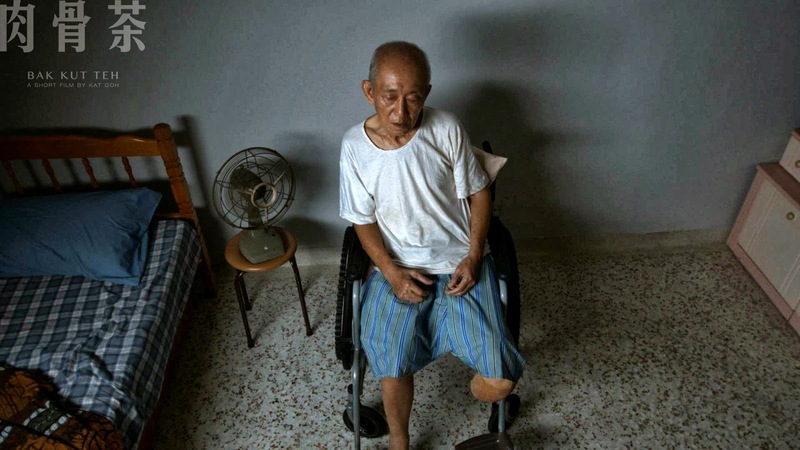 In the dark and gloomy flat, Ah Huay's mother suffers from similar emotional isolation; her elderly husband is either sedated and ignores her or is verbally and physically demonstrative due to the onset of dementia. Goh does not shy away from openly depicting Ah Tee's hurling of verbal and emotional abuse, and Ah Huay's use of physical self-harm, leading to audible gasps of shock and sympathy from the audience. This exposé of the difficult yet very real issue of domestic abuse unexpectedly takes a turn for the bizarrely funny with the film's ending. Without giving away too much, let's put it this way—they may say revenge is a dish best served cold, but it is even more delicious when hot, meaty and spicy. 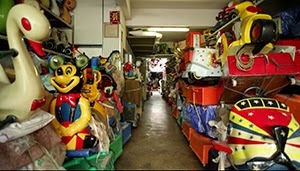 In 2Mothers, director Royston Tan distills and riffs on the conversations in two local poems, resulting in a monologue of sorts narrated by an elderly woman in the unlikely setting of a storeroom full of garishly-coloured kiddy rides. In a way, 2Mothers is the hardest to follow of the four Utter 2013 films, given the setting that is rather at odds with the subject matter of both poems—a droll look at the mundane yet genuine concerns of "kiasu" Singaporean mothers (and society, more widely). However, this, in addition to the steady, single continuous shot in which the whole film was taken, keeps the audience focused on the dialogue. Royston Tan is known for his ear for authentic local dialogue and he delivers; even as the aunty's boasts and lamentations about her son evoke laughter, her solitary presence in this gloomy environment, where we are unsure to whom exactly she is speaking, suggests that she may be mired in the past, thereby evoking sympathy. During a short Q-and-A session that followed the screening at The Arts House, one audience member enquired if the films would be toured around local schools or made available online for the public to view. It is an excellent idea that hopefully comes to fruition as these well-made films are enjoyable works of art in their own right, in addition to introducing audiences to the local literary works they draw from. Given the wealth of local literature available, here's to a continuation of Utter in 2014—perhaps with works written in the post-2000s? Aditi Shiva works as an editor and is partial to semicolons. If her life were a movie, it'd be an animated indie Bollywood rom-com.